As I search for ways to play better golf, and pass my findings on to you, I never stop looking for ways to integrate rhythm and tempo into my swing. I have suggested ways to find the 3:1 rhythm, and ways to find your right tempo, which varies from player to player. But these cannot be learned separately and then put together. You could get very good at swinging with a 3:1 rhythm, but if you move to a new tempo, your rhythm can break down. You would have to re-learn 3:1 all over again. Rhythm and tempo must be learned simultaneously as a unified pair by using the same exercise. About a month ago I found a copy of John Novosel’s book, Tour Tempo, at a used book sale. This book teaches you the 3:1 rhythm at different tempi. (The book should really be titled, Tour Rhythm, by the way.) By swinging along with any one of the audio files, you are learn rhythm and tempo together. There is on problem with these files, though. Only three discrete tempi are given, and none of them might be suitable for you. The slowest one, 27/9 (3:1 ratio) is too slow for me, and the next fastest one, 24/8, is too fast. These integer-based selections are the result of Novosel playing a video of a swing frame by frame and counting frames. Yet, a tempo of 25.892/8.631 might be just the ticket. And it’s still 3:1. You can’t solve this problem by getting a feel for the 3:1 rhythm and then modifying it in your head as you swing. It is too easy to adjust your counting to your swing instead of adjusting your swing to the correct count. Musicians practice with a metronome* to prevent that from happening with their instrument. There is a simple solution, though. If you have Windows Media Player** on your computer, you can adjust the speed settings to almost whatever you want. Then, you could play the TT audio files, say the 27/9 one, and speed it up bit by bit until you find the tempo you like. Or, you could start with 24/8 and slow it down. Either way would work. You can write down the new speed setting that WMP shows you so you can go back to it again. I strongly recommend you use the TT audio files to get this vital technique built into your swing. 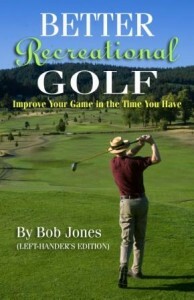 Swinging with correct, unified rhythm and tempo is one of the best golfing habits you can have. It forgives many sins. * A metronome, though, is inadequate for this task. The metronome must be set so there is a tick at the moment you start the club down from the top, and the next tick must be when the ball is struck. This is the 1 part of 3:1. The 27/9 tempo corresponds to a metronome setting of 200. The highest setting on a metronome is 208, which yields a rhythm of 25.95/8.65. If you need to go faster, you’re stuck. ** If you have Mac, you can use VLC, but that only produces discrete, not continuous, speed adjustments. I was hitting plastic balls at my backyard driving range earlier today, and just not getting the results I wanted. Everything was a hair fat. So I moved the ball a half inch back in my stance. Bingo. One of Ken Venturi’s basic teaching precepts is that players do not get out of swing, the get out of position. Put them back into position and the swing comes back. So many times it isn’t the swing that needs correcting, it’s the position. This means grip, stance, posture, and ball position. Grip: where do the Vs point? How many knuckles do you see? Stance: how far apart are your feet? To where do the toes point? Posture: How much do your knees bend? How much does your back or neck bend? How far apart are your elbows? Ball position: how far from the ball do you stand? Where is the ball from front to back of your stance? Practice these. Actually practice them. Get in and out of your setup and learn your position well enough so that you never have to find it — you get into it automatically. This will solve so many problems before they start. 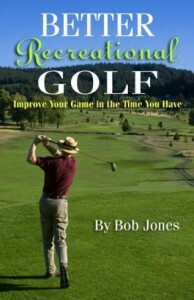 Many people play golf by hitting the ball, finding it, and figuring out what to do next. They make golf a “this shot” game. Golf is better played by thinking about the shot after this one. An easy example to make this clear is the second shot on a par-5 hole. You can either hit the ball as far as you can to get on the green with whatever is left over, or you can figure out what shot you want to hit into the green, then play your second shot to set up that one. The general rule is to play this shot so as to make the next shot as easy and productive as possible. It is said that only two golfers have ever owned their swing — Ben Hogan and Moe Norman. Actually, Lee Trevino had a pretty good idea what he was doing, as did Sam Snead, Bobby Jones, Arnold Palmer, Jack Nicklaus, Bruce Lieztke, and about a hundred other players I could name. You can own your swing, too. 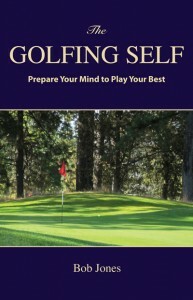 A – it’s not that hard to do, and B – you need to do it to play consistent golf. By owning your swing, I don’t mean you know what you’re doing down to the gnat’s eyelash. I do mean that when you’re not striking the ball well, you have some checkpoints you can review to get back on track. The Six Fundamentals are my checkpoints. They don’t have to be yours, but you should know something about your swing along the order of, “I forgot to do this,” and when you get back to doing “this”, the problem is solved. The goal is to bring the club into the ball on a path toward the target, with the clubface square to that path, on the proper trajectory, and making contact on the center of the clubface. Everything you do contributes to all that happening, or not. So you have to investigate how to do those four things, one at a time, and also what you do that gets in the way of doing those things. This takes careful study. It means breaking down your swing into parts that move the club correctly and learning what the feeling of those correct movements are. Then you develop your own keys — the checkpoints you have to hit to make it all work. Don’t expect to have this figured out in a few weeks. It might take a lot longer than that, and a few lessons along the way won’t hurt. But it’s like this. If you hit a really good shot and you can’t explain to yourself how it happened, you have some work to do. And I know you can do it.